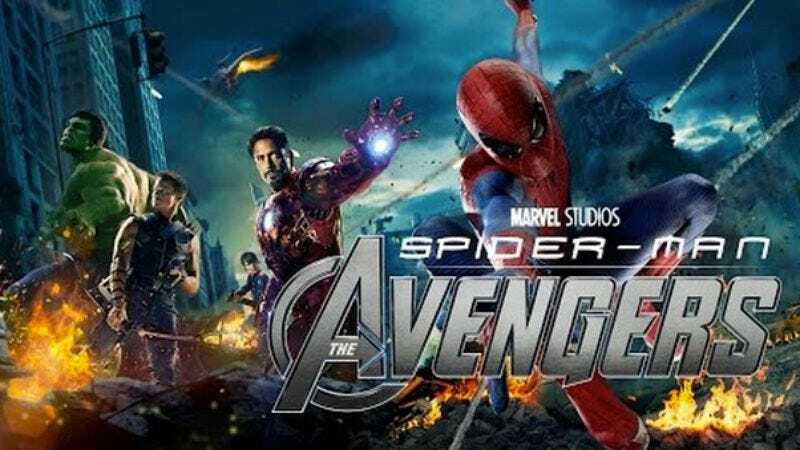 The superhero film world was turned on its head with news that Spider-Man will soon be hanging out with the Avengers thanks to a deal between Marvel Studios and Sony Pictures. And while it remains to be seen how a high school-aged Spider-Man will fit into the Marvel Cinematic Universe (and who will play him), ScreenCrush went ahead and imagined a world where Andrew Garfield’s Spidey was around for 2012’s The Avengers. The video splices together the climatic battle of New York from The Avengers with scenes from The Amazing Spider-Man 2, and while it’s pretty obvious the heroes aren’t in the same shot, the fact that both films involve damaged city buses goes a long way towards making the mashup feel seamless. And while it does unceremoniously cut out the Hulk, the video makes the astute observation that spider-themed allies Black Widow and Spider-Man would likely get along quite well.